Hypoallergenic Jewelry : Which options do you have for jewelry? As the name suggests it, hypoallergenic jewelry refers to pieces that won’t cause a skin allergy when you wear them. Many people have a nickel allergy which causes their skin to become irritated from wearing nickel-containing jewelry pieces. 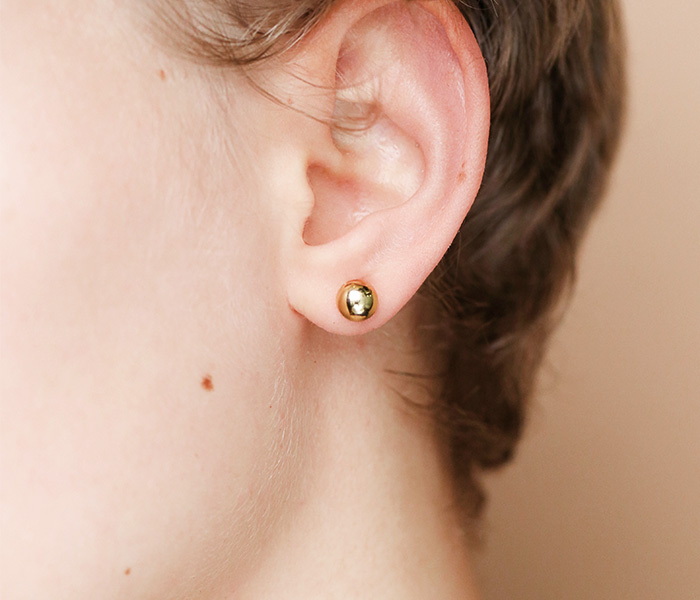 Hypoallergenic jewelry doesn’t contain nickel. However, there is more to it than that. So, in case you have a nickel allergy or are sensitive to certain metals, read further to find out which jewelry you can wear. 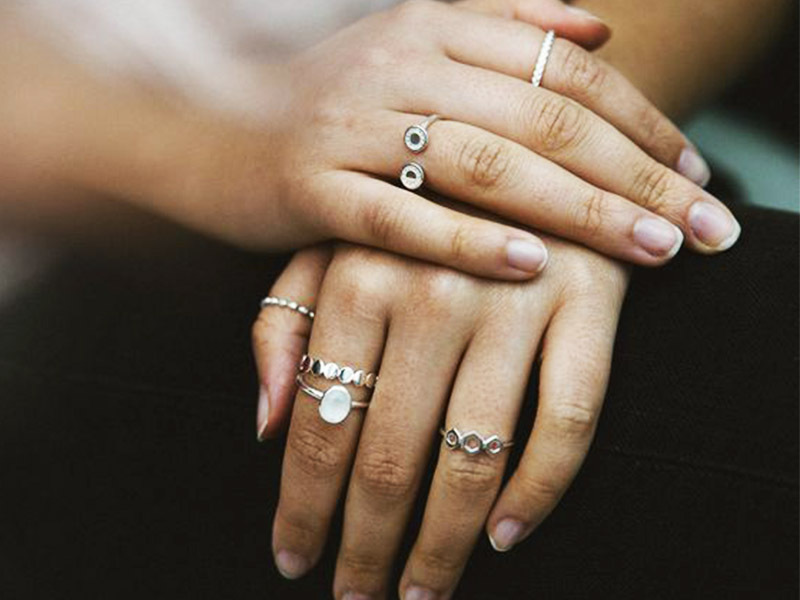 You can buy jewelry metals that won’t cause an allergic reaction, so let’s see your best options. Which metals cause allergic reactions? Before talking about hypoallergenic jewelry, let’s see the most common metals that can cause an allergy. There are many people who suffer from nickel allergy, which means that they need to always shop for nickel-free jewelry pieces. If you are one of those people, buy high karat gold (either yellow or rose), silver and platinum. Avoid white gold as it can contain more nickel than regular gold. Brass is another common jewelry metal and some people are allergic to it. If this is the case with you, avoid gold plated pieces as most of them contain brass. You are safe to buy solid gold in any karat and color, as well as other jewelry metals. Though not very common, copper allergies do exist. You should know that rose gold uses copper to get its blush color. This means that you should avoid it or ask the manufacturer whether they have a rose gold piece with a lower copper content. In very rare situations, gold itself causes allergic reactions. However, to make sure you are not actually allergic to the nickel content in the gold alloy, try wearing high karat gold, like 18k and 22k. If you still notice a rash or any kind of allergic reaction, then, unfortunately, you are one of the few people who are allergic to gold. Switch to platinum or sterling silver instead. 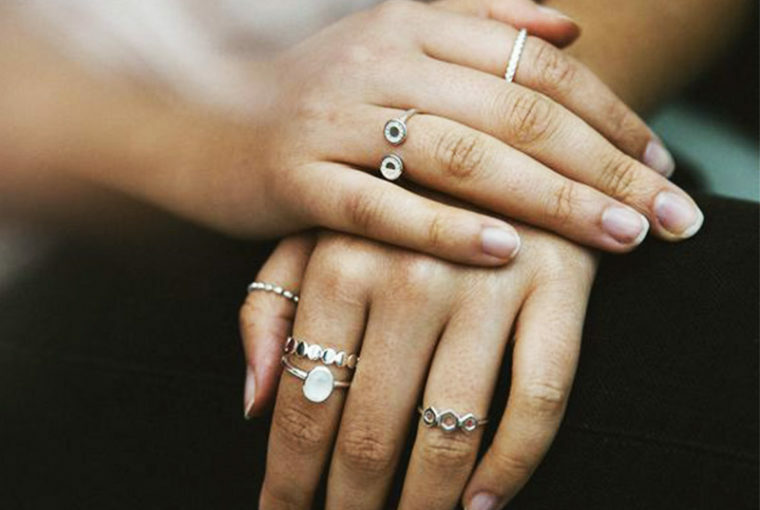 Which is the best hypoallergenic jewelry? There are a couple of jewelry metals that don’t cause an allergic reaction. Read further to find out about the pros and cons of each of these metals. Yes, gold also appeared in the section above, but, for most people, it is a great choice for hypoallergenic jewelry. Besides its beautiful color and durability, gold is also a great choice because it can be easily resized or transformed. You can melt a simple gold ring and create a nice pendant. You can also resize it if you like the design so that it fits your finger. Platinum may be the most popular metal for hypoallergenic jewelry because it never causes allergic reactions. You are safe to wear platinum all day long. 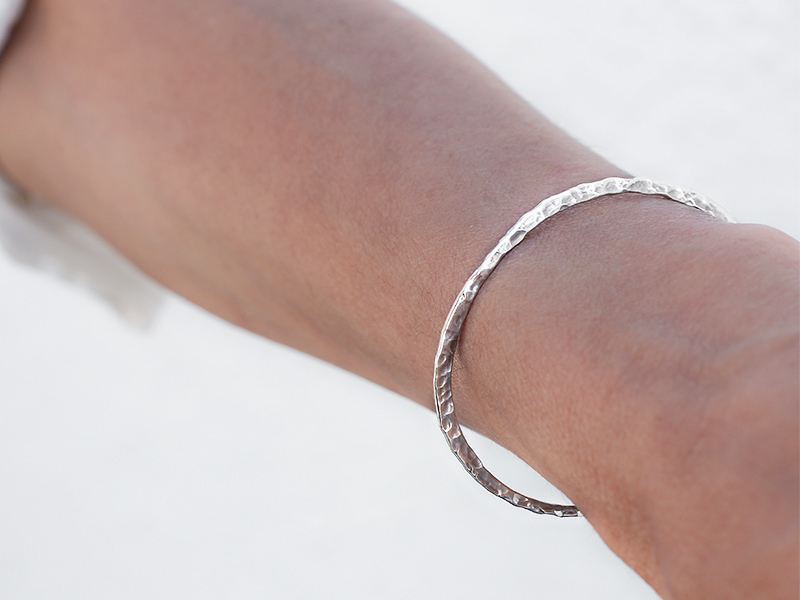 It is also a sleek metal with a lustrous look, ideal for wedding bands or statement jewelry. Last, but not least, platinum is one of the strongest metals in the world, so your hypoallergenic jewelry will be durable. However, the downside is that platinum doesn’t melt and it is very hard to resize. You have to get exactly what you want from the first try as with platinum you don’t get a second chance. We bet you haven’t heard about this one, have you? Argentum is a type of silver, actually, ideal for hypoallergenic jewelry. It uses germanium in the silver alloy, which makes it not only tarnish-resistant but also a fantastic choice for hypoallergenic jewelry. And, if you care about the environment, you should know that this type of silver is made from recycled silver. Thus, it reduces the need to mine for silver ore while being a fabulous jewelry metal at the same time. The downside is that Argentum doesn’t have the same bright color of silver. However, it is still chic and beautiful. Niobium is a beautiful, glossy white metal that changes its color when it comes in contact with the air. Hypoallergenic jewelry can contain this metal and look exquisite. Niobium doesn’t corrode and it can’t receive a plating layer. Before jewelry makers discovered they could use niobium for hypoallergenic jewelry, the medical industry used this metal for implants. You can also find niobium in a great range of natural colors, which is great. However, it can be quite difficult to find niobium jewelry as most jewelry shops use other alternatives for hypoallergenic jewelry. Other choices for hypoallergenic jewelry may include sterling silver, titanium or even stainless steel. As you can see, you have a lot of options to choose from so that you can wear stylish jewelry no matter if you have an allergy. If you enjoyed finding out more about hypoallergenic jewelry, check out our other articles as well and discover more useful jewelry information. To view Ana Luisa’s unique designer jewelry collection, visit our online jewelry shop.